Holiday Lights will still turn on at dusk. 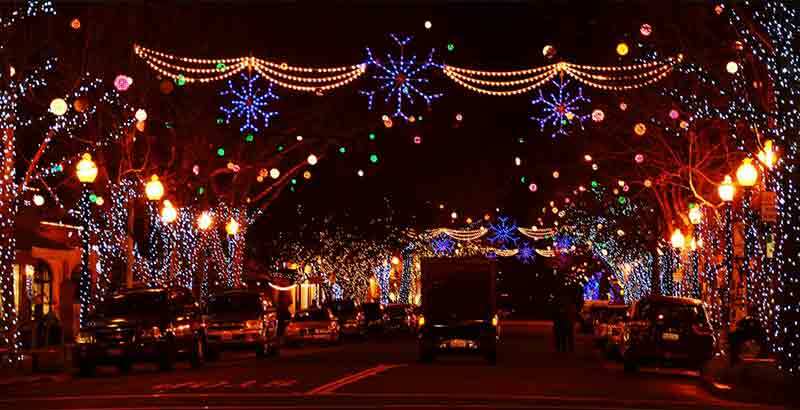 Fourth Street kicks off the holiday season as they turn on their dazzling holiday street lights! Fourth Street invites you to stroll the street with them on Friday, November 16, 2018 from 5-7 in the event with your family and friends. Live Jazz by "PJay Smik Smak & the Cliffnottes"
"Surprise" visit from the beloved sparkling snow fairy on stilts!